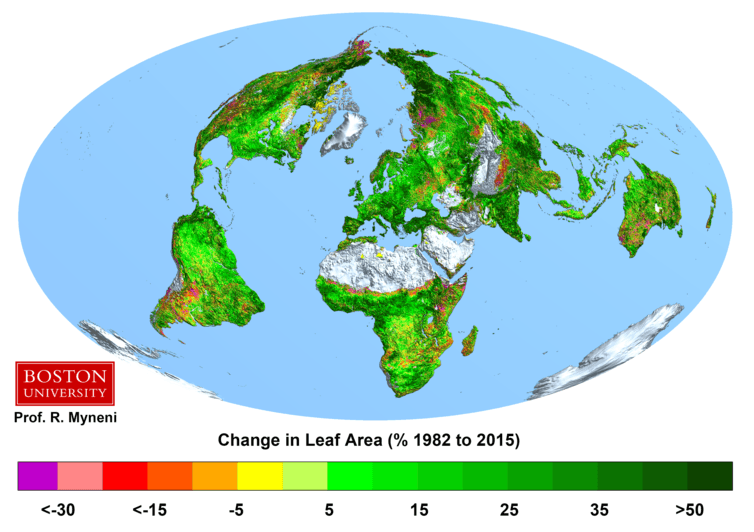 Scooper - Technology News: The Earth is getting greener. Why? The Earth is getting greener. Why? In a paper published in Nature Climate Change, we show that the Earth has been getting greener over the past 30 years . As much as half of all vegetated land is greener today, and remarkably, only 4% of land has become browner. We are indeed in a new age, the Anthropocene . For instance, a greener world is consistent with, although it does not fully explain, the fact that land plants have been removing more CO₂ from the atmosphere , therefore slowing down the pace of global warming.